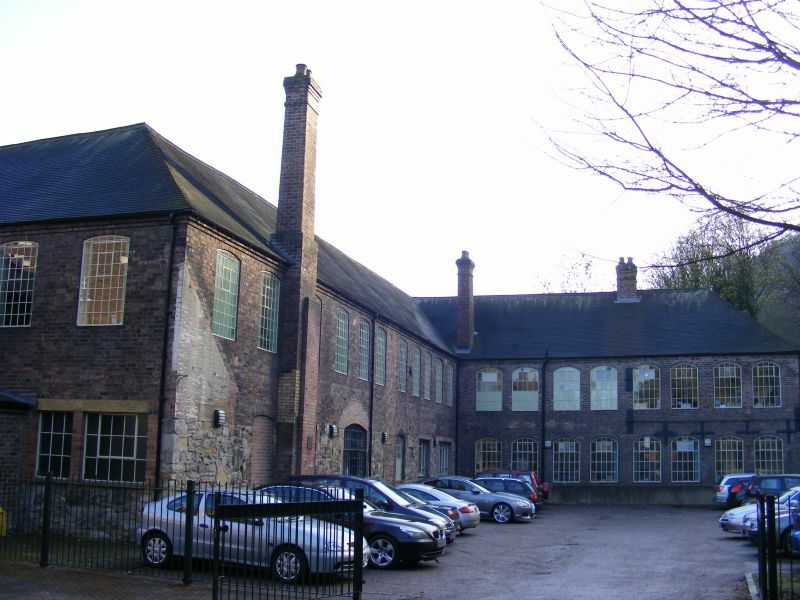 Offices of Coalbrookdale Company, formerly a Yard building and Fire Engine House. 1838-47, extended later C19, altered circa mid C20. Stone, largely rebuilt in brick. Clay plain tile hipped roofs. Brick axial and lateral stacks. PLAN: Originally L-shaped building, built between 1838 and 1847. Lengthened and heightened to 2 storeys, with addition of wings and canopied bays by 1883 and used principally as offices. Open canopied bays were enclosed in mid C20. Now comprises 2-storey L-shaped N-S main range with east wing with a SW wing at right angles. On east side of main range 3-bay single storey range, attached to which on the SE is a 2-storey wing. EXTERIOR: 2 storey main range with large multi-pane cast-iron windows with central pivot lights, some with cambered brick arches, others with cast-iron lintels. Lower section of east wall of main range is built of stone rubble. INTERIOR: Projection on north side has straight staircase with ornate cast-iron balusters and newel; the newel was originally surmounted by a cast-iron figure which is now in the museum. First floor offices have cast-iron ceiling roses and ventilators and board room has plaster cornice. Central range has cast-iron columns [mostly boxed in] supporting roofs. SOURCE: The Ironbridge Gorge Museum Trust, The Coalbrookdale Project.